Home / News / Showbiz / Viral / Remember Kiray Celis of Goin' Bulilit? Here She is Now! Remember Kiray Celis of Goin' Bulilit? Here She is Now! Kiray Celis is known for her comedic quips and banter on TV but have you seen her all dolled-up and looking glamorous? YouTube channel “iReeview” released a video of her that featured a picture compilation of how much she has transformed from a regular-looking actress to someone who can rock the magazine covers and stun people with her womanly looks. As of this writing, it has gained almost a million views, around 2,000 likes, and over 260 comments from netizens. Most of them commented that indeed, Kiray Celis has matured a lot ever since she entered the showbiz industry in 1999 as a mainstay in the then-variety show “Magandang Tanghali Bayan.” Some graced the comments section with “wow,” “beautiful,” and “we love you” to the actress. Unfortunately, the source did not give any information about Kiray’s photos but it could be presumed that they were from a magazine pictorial or a fashion photo shoot for a brand.Either way, it proved that Kiray Celis can be a beauty just like everyone else. Have you seen her fashion photo shoot with Kirst Viray before?According to Philippine Entertainment Portal, the “whimsical” pictorial showed Kiray at her very best. The actress’ hair and makeup were done by none other than Fanny Serrano himself, a famed fashion designer. The set was shot on location at the Fernwood Gardens in Tagaytay City, where Kiray Celis appeared elegant and refined – so much so that the source has cited that “they were like characters from a fairy tale.”Kiray Celis wore stylish gowns of different designs and had expertly applied makeup that enhanced her delicate features. However, the actress has not been known to grace glamorous magazine covers before so her shots featured in the video may give us a glimpse of how she is as a total stunner. 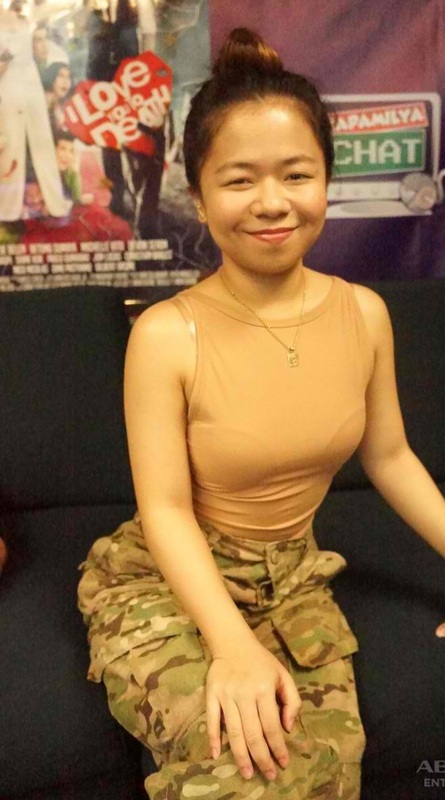 What do you think of Kiray Celis’ transformation? What can you say about her look? Let us know your thoughts about it in the comments section below!